WATCH: Final Evolutions of Starter Pokémon Revealed in New Trailer | Nerd Much? 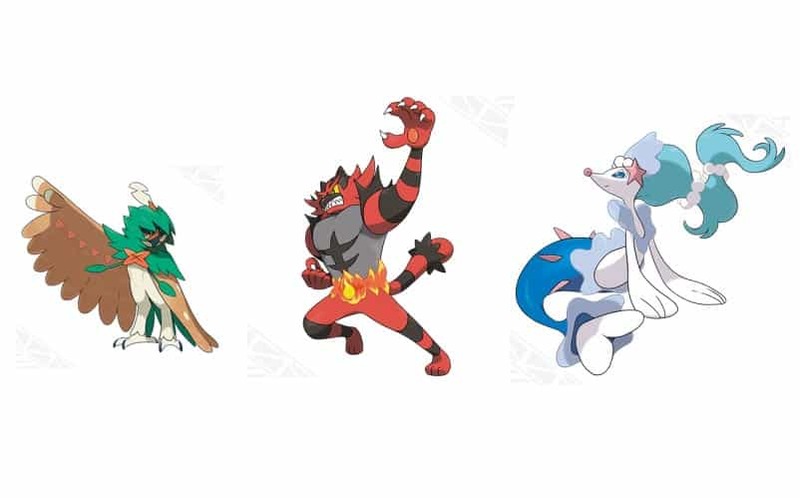 The final evolutions of the Pokémon Sun and Moon starter Pokémon have officially been revealed, along with three guardian deities of the Alola region. The guardian deities appear to be the mythical Pokémon of Sun and Moon, like the three legendary birds in Red and Blue. There have been multiple leaks already regarding the three starters’ final evolutions, but we now have official confirmation. The final evolutions are Decidueye, Incineroar, and Primarina, and the guardian deities are Tapu Lele, Tapu, Bulu, and Tapu Fini. Each deity is the guardian of a different Alolan island, and they all share a special Z move called Guardian of Alola; the trailer doesn’t describe exactly what the effects are, but it looks pretty epic and appears to deal massive damage. They can all also apparently learn a move called Nature’s Madness, which reduces the target’s HP by half. Pokémon Sun and Moon are scheduled to release on November 18, 2016, for Nintendo 3DS. Rowlet will evolve into Decidueye, a Grass/Ghost type Arrow Quill Pokémon. It has a unique move called Spirit Shackle, which makes any opponent hit with it unable to flee from battle or switch out with an ally. 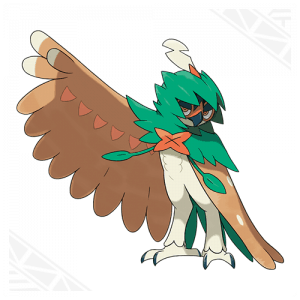 Its official description makes it sound like a Pokémon version of Green Arrow; it’s able to hide its presence from enemies and use the opportunity to send an arrow quill flying from “half a mile or more away” with precision. 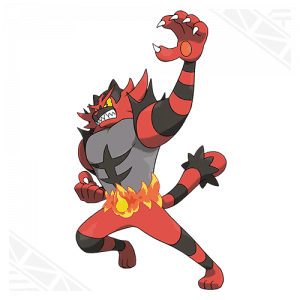 Incineroar is the final evolution of Litten, and is a Fire/Dark type Heel Pokémon. According to its official description, it produces flames around its waist that are called a “flame belt” due to their resemblance to a championship belt. Incineroar’s unique move is called Darkest Lariat, and it’s a Dark-type physical move that allows it to deal damage irrespective of any stat changes the target may be affected by. Sea Lion Pokemon Popplio’s final form is known as Primarina, and it’s a Water/Fairy type Soloist Pokémon. It releases “balloons of water” into the surrounding area as it dances and moves them using the sounds waves from its voice, and some will explode when touched, according to the official description. 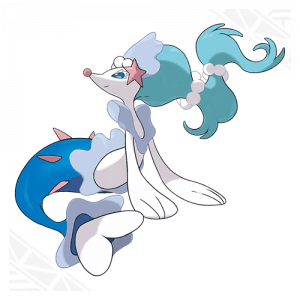 The move unique to Primarina is called Sparkling Aria, and is a Water-type move that heals the burns of any target it hits. 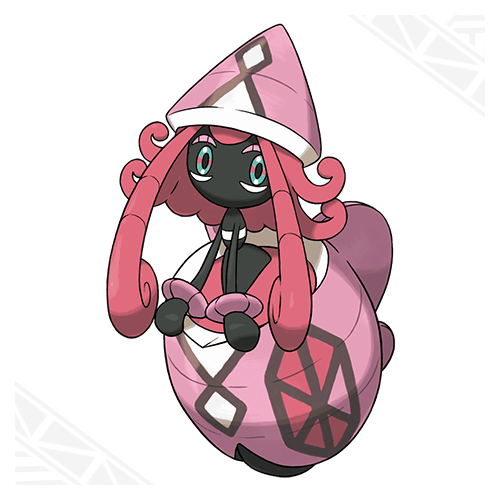 Tapu Lele is the guardian deity of Akala Island, and it has a unique ability and move. Its unique move is Psychic Terrain, which boosts the power of Pyschic-type moves used by Pokémon on the ground and prevents them from being hit by “priority moves”. Its Ability is Psychic Surge, which turns the field into Psychic Terrain when Tapu Lele appears in battle. Tapu Lele is a Psychic/Fairy type, and according to the official description, it scatters glowing scales that can heal illness and injuries. Legend has it that it once ended a war between the islands of Alola by scattering these scales and soothing the warriors. 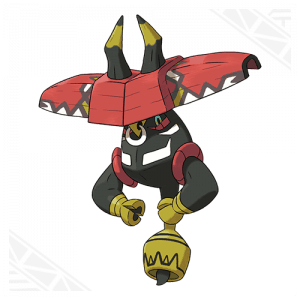 The guardian deity of Ula’ula Island is Tapu Bulu, a Grass/Fairy type with the power to manipulate vegetation to grow. According to the official description, it makes a loud ringing with its tail to alert others to its presence and thus avoid unecessary battles and/or frightening other Pokémon. 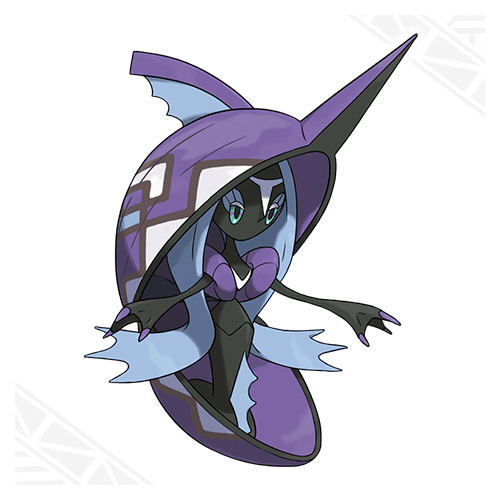 Tapu Bulu’s unique Ability is Grassy Surge, which turns the field into Grassy Terrain; this boosts the power of Grass-type moves used by Pokémon on the ground, restores a little HP to them each turn, and halves the damage taken from Earthquake, Magnitude, and Bulldoze. Finally, we have Tapu Fini, the guardian deity of Poni Island. This Water/Fairy type creates a purifying water, and requires that those seeking it demonstrate their ability to withstand its fog. It attacks by manipulating water, per the official description, and prefers to defeat its opponents by creating a thick fog that puts them in a trance and causes them to destroy themselves. Its Ability is called Misty Surge, and it turns the field into Misty Terrain when Tapu Fini appears in battle; this halves the damage taken by Pokémon on the ground from Dragon-type moves and prevents them from being afflicted by status conditions or confusion.